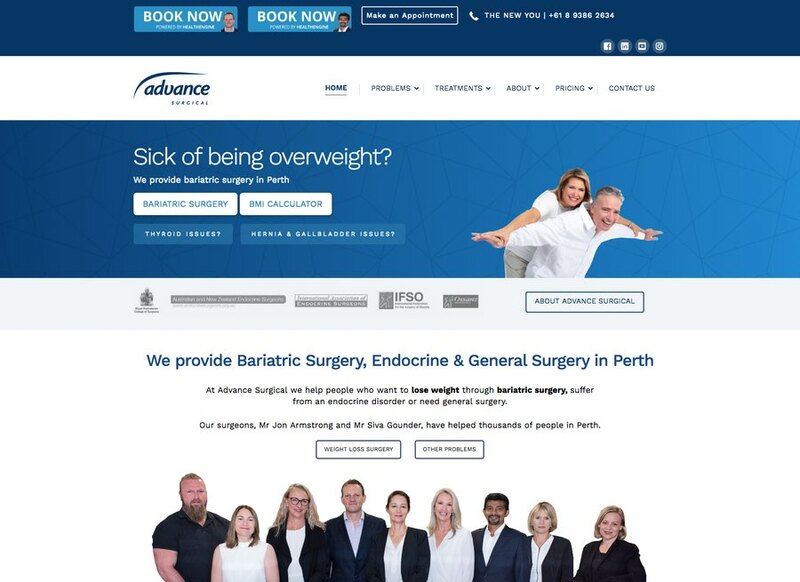 A digital strategy and a contemporary website for Advance Surgical. The strategy combines SEO optimised pages, compelling responsive design, video and email marketing to communicate with prospective patients. Bariatric Surgery is a highly competitive medical niche. So when we started mapping the key topics for the digital strategy, we looked at patient search behaviour around obesity & weight loss surgery. 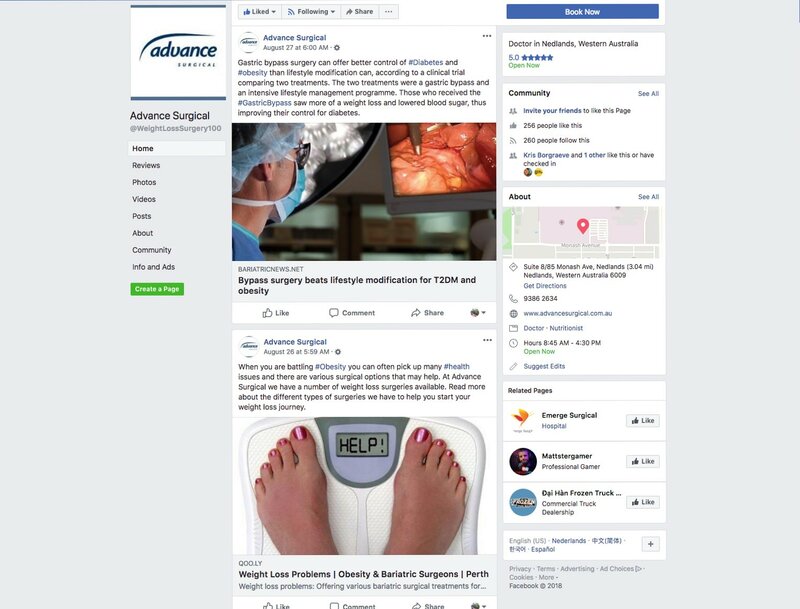 Advance Surgical wanted to attract more traffic and to offer high quality patient education to anyone who visits the practice website. We believe that attracting more patients starts with making sure that patients find you when they search for information on a specific condition or a treatment. 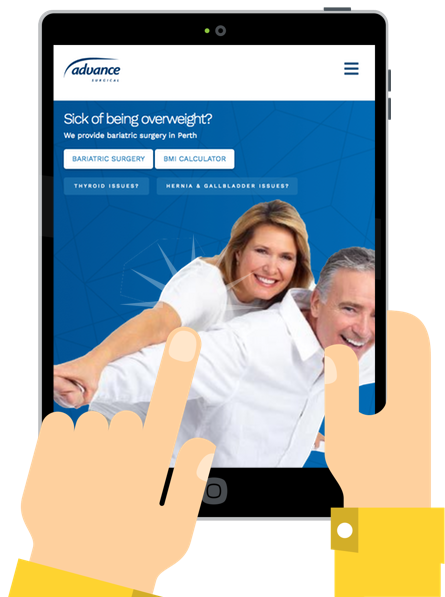 What do prospective weight loss surgery patients google for? Result: 15 blog articles, published fortnightly. Email Marketing: blog articles are sent out to database. Ebook Writing: "What To Expect" & "How To Prepare?"